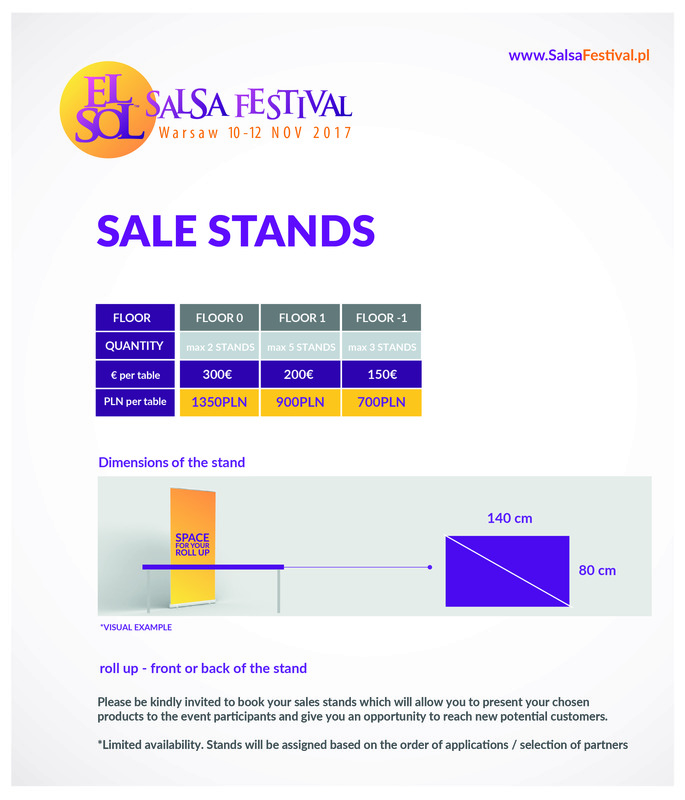 El Sol Warsaw Salsa Festival offers a possibility to present your offer/products to 5000 participants gathered in one place. They all have one thing in common – they love dancing. This exceptional society includes people of 20-45 years old, coming from different cultures, environments, with diverse professions. Salsa stimulates hormones of happiness, gives a dose of positive adrenaline and these emotions united the people during these 4 festival days. Use this opportunity and present your products and promote your business! Rent sales space during 4 days of workshops. All vendors are requested to contact Ania Chagowska directly – fill in the contact form to obtain information on availability of sales space, fees and regulations.